To better understand the factors associated with the maintenance of social anxiety symptoms in youth. Social anxiety disorder is highly prevalent, and it is associated with persistent and recurrent major depressive disorders that are more chronic and linked with worse social functioning. Negative self-statements have been found to be a critical factor in the development and maintenance of mood dysregulation in youth. Working memory has been one variable that has shown to influence and/or be influenced by maladaptive cognitions. The goal of the current study was to delineate the role negative self-statements and working memory play in the relationship between social anxiety and depressive symptomatology in youth (N = 159; agerange = 7–16 years; Mage = 10.97 ± 2.38 years). It was hypothesized that negative self-statements would mediate the relationship between social anxiety and depressive symptomatology, and this relationship would be moderated by working memory. provided support for our hypothesis; negative-self statements have an indirect effect the relationship between socially anxious and depressive symptomatology in a large sample of service-seeking youth. Furthermore, the relationship between negative self-statements and depressive symptomatology, but not social anxiety and negative self-statements, was moderated by working memory. 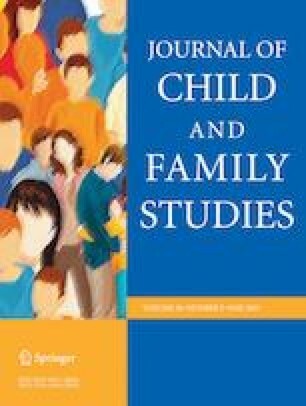 The indirect effect negative self-statements have on the relationship between social anxiety and depressive symptoms in youth, where negative self-statements and depressive symptoms were moderated by youths’ working memory have important assessment and treatment implications of mood disorders in youth. P.J.C. : designed and executed this study, assisted with the data analyses, and wrote the paper. M.C. : analyzed the data, wrote part of the results, and collaborated with the design. T.E.D. : designed and executed the overall project/clinic/and all-encompassing study, oversaw overall data collection, collaborated in the writing and editing of the final manuscript. All procedures performed in studies involving human participants were in accordance with the ethical standards of Louisiana State University Institutional Review Board, which is in line with the 1964 Helsinki declaration and its later amendments or comparable ethical standards.